How is it June? How is it June and still so cold? I knew moving out of London would mean colder winters as I'm closer to the sea but come on! Thankfully a bunch of sunshine arrived at my front door a few days ago and while the weather remains gloomy, my kitchen is full of gorgeous colours thanks to Prestige Flowers. It's not often I get flowers, I'm generally a more chocolate kinda girl but I do buy them every so often! As I'm getting older I do love having fresh flowers in the house as they really do add a boost of colour to a room, so when Prestige asked if I'd like some to review, I jumped at the chance. I was sent the Turner bouquet from their National Gallery range of art inspired bouquets and for next day flowers I'm really impressed! This bouquet is £40 on the website but unlike other online flower companies I've had flowers from, you really do get your monies worth. 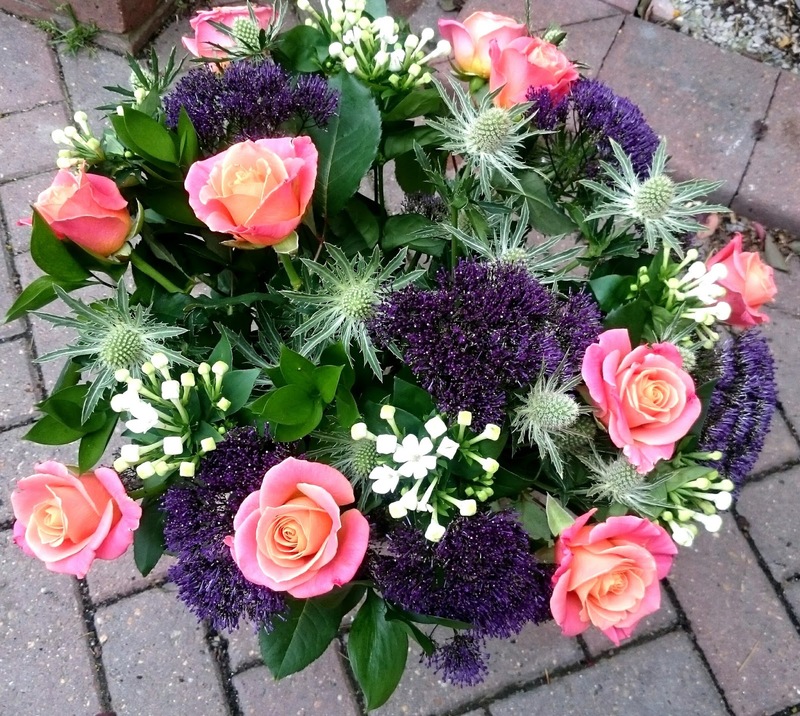 It's inspired by Turner's Fighting Temeraire and includes Miss Piggy Roses, blue Eryngium, deep purple Trachelium and white Bouvardia. 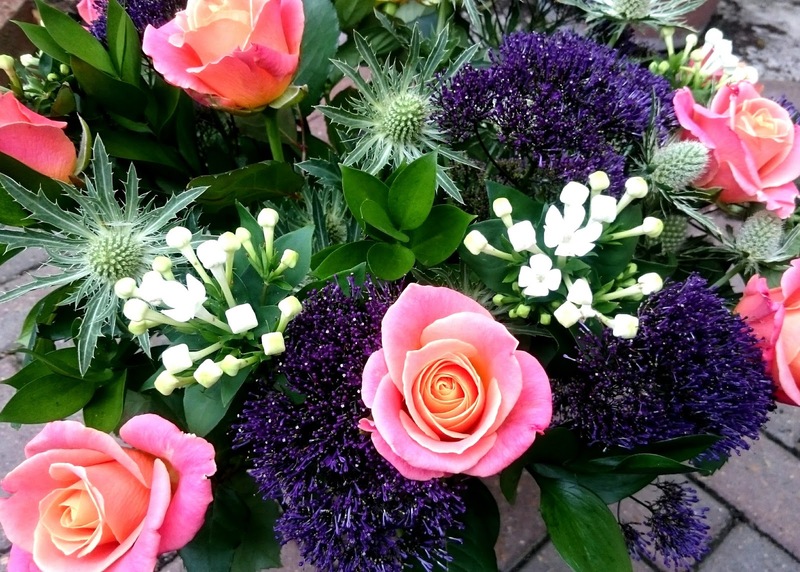 The bouquet itself is really full, there's lots of colour and the roses are beautiful. 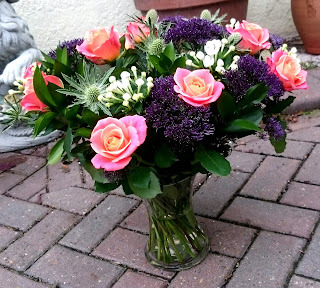 I've had them three days now and they still look as lovely as they did they day they arrived in a sturdy cardboard box. Everyone who has come round in the last few days has commented on how nice they are (including my builder haha!). Overall I'm really happy with what I received and will be a bit heartbroken once they die. 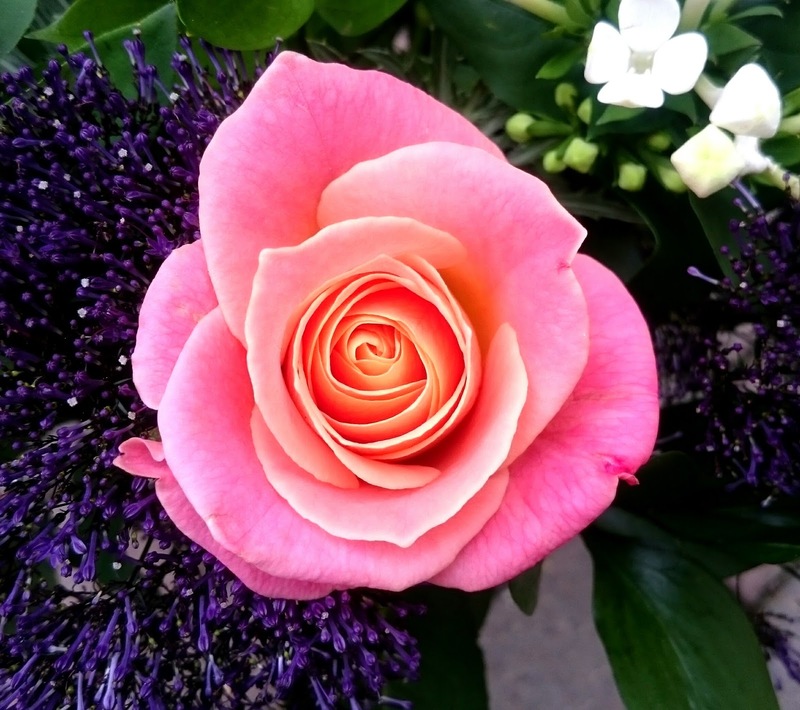 I'm head over heels with the quirky named Miss Piggy Roses! Have you ordered flowers online before? Beautiful flowers, having fresh flowers or plants around always make things look brighter and fresh. 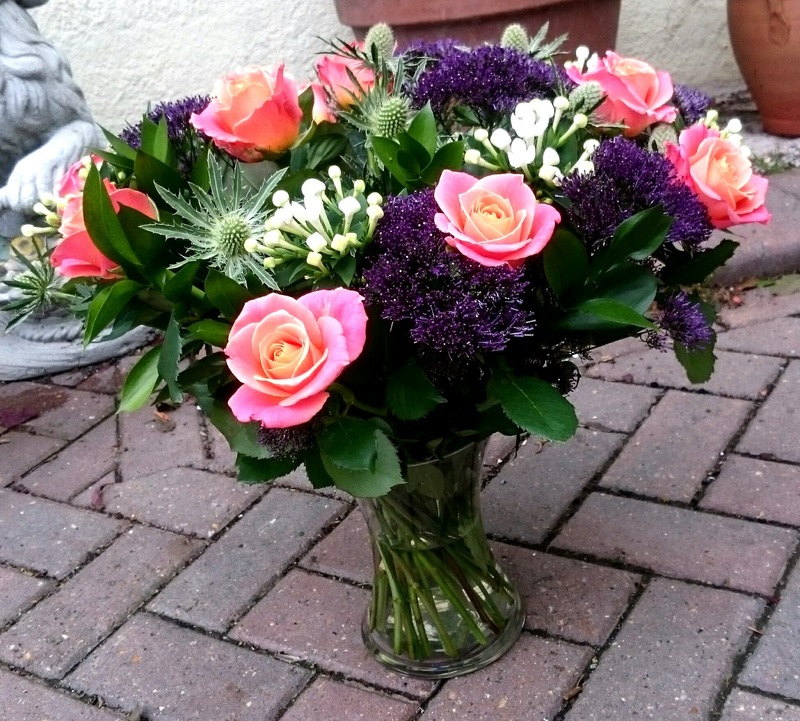 I've ordered online before from NEXT flowers, really good service. I love flowers and really like givinv bouquets to near and dear ones. These look fab! They look absolutely beautiful together, the colours are just so pretty. Very beautiful flower bouquet. I just loved it. Combination of 3 colors here make it more elegant and beautiful. I hope to see this kind of more different bouquet.